Learn more about how cannabis mold testing is done and how this process varies from state to state. As both recreational and medical cannabis legalization continues to progress across the country, each state is tasked with developing regulatory requirements to ensure that customers and patients receive clean cannabis for consumption. This requires cannabis to undergo laboratory testing that analyzes the presence of microbial impurities including yeast and mold. Some states, such as Colorado, Nevada, Maine, Illinois and Massachusetts use total yeast and mold count testing (TYMC) and set a maximum yeast and mold count threshold that cultivators must fall below. Other states, such as California, require the detection of species-specific strains of Aspergillus mold (A. fumigatus, A. flavus, A. niger and A. terreus), which requires analyzing the DNA of a cannabis sample through polymerase chain reaction testing, also known as PCR. Differences in state regulations can lead to different microbiological techniques implemented for testing.Before diving in further, it is important to understand the scientific approach. Laboratory testing requirements for cannabis can be separated into two categories: analytical chemistry methods and microbiological methods. Analytical chemistry is the science of qualitatively and quantitatively determining the chemical components of a substance, and usually consists of some kind of separation followed by detection. Analytical methods are used to uncover the potency of cannabis, analyze the terpene profile and to detect the presence of pesticides, chemical residues, residuals solvents, heavy metals and mycotoxins. Analytical testing methods are performed first before proceeding to microbiological methods. Methods to determine total microbial cell numbers, which typically utilizes cell culture, which involves growing cells in favorable conditions and plating, spreading the sample evenly in a container like a petri dish. The total yeast and mold count (TYMC) test follows this method. Molecular methods intended to detect specific species of mold, such as harmful aspergillus mold strains, which typically involves testing for the presence of unique DNA sequences such as Polymerase Chain Reaction (PCR). Among states that have legalized some form of cannabis use and put forth regulations, there appears to be a broad consensus that the laboratories should test for potency (cannabinoids concentration), pesticides (or chemical residues) and residual solvents at a minimum. On the other hand, microbial testing requirements, particularly for mold, appear to vary greatly from state to state. Oregon requires random testing for mold and mildew without any details on test type. In Colorado, Nevada, Maine, Illinois and Massachusetts, regulations explicitly state the use of TYMC for the detection of mold. 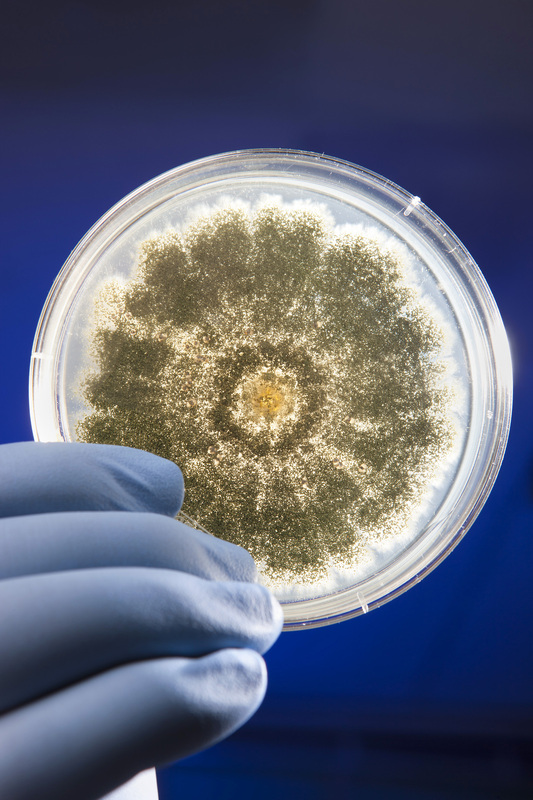 In California, the recently released emergency regulations require testing for specific species of Aspergillus mold (A. fumigatus, A. flavus, A. niger and A. terreus), which are difficult to differentiate on a plate and would require a DNA-based approach. Since there are differences in costs associated and data produced by these methods, this issue will impact product costs for cultivators, which will affect cannabis prices for consumers. Swetha Kaul currently serves as the Chief Scientific Officer at Cannalysis, a cannabis testing laboratory that seeks to empower customers through technology integrations, big data analytics and access to information. Swetha brings more than a decade of technical and leadership experience from academia and the pharmaceutical industry to the emerging field of cannabis testing. Swetha Kaul has a MS in Pharmacology and Toxicology and a PhD in Analytical Chemistry from University of Kansas. At Allergan, she led several drug development activities including analytical method development, formulation research, and manufacturing process optimization. Her experience working in the highly regulated pharmaceutical industry provides valuable insight into the rigorous scientific practices required for compliance. 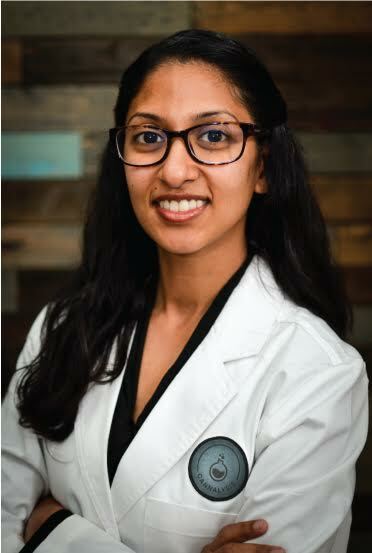 As a member of the CCIA Board of Directors and Co-Chair of the Quality Control Committee, Swetha is committed to educating the general public about the science behind testing procedures and legitimizing the cannabis industry by setting a high bar for scientific integrity.